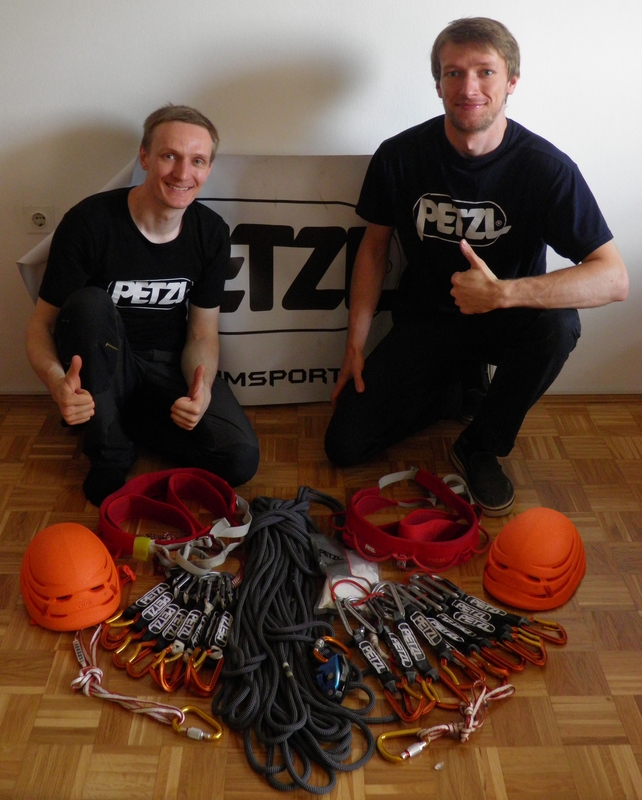 As you already know, Petzl reseller in Croatia, BIM Sport d.o.o. sponsored our BWSC 2014 record breaking performance with a big pack of Petzl gear (pictured above). At first we were just happy to get a lot of shinny new gear, but soon we realized Petzl equipment is so much better than what we had before it will actually help us win. Simply the best sport climbing helmet you can imagine – and the reason is quite simple – it weighs just 165 grams! I never really liked having the helmet on (which I always have in multipitch sport climbs), because you always feel it on your head – it bounces, you sweet more and you have the weight of it on your head. With this helmet, you feel almost nothing – we sometimes even started hiking back home with helmets on, because we didn’t realize it was still on our heads. The best quickdraw in the business. I am sure there are other quickdraws that are maybe smaller, or lighter or whatever – but Petzl Spirit is simply the best to handle. Perfect in size, easy to clip out, light and rope friendly (the base carabiner is wider so the rope has bigger contact area and less ‘breaking’ over the metal). 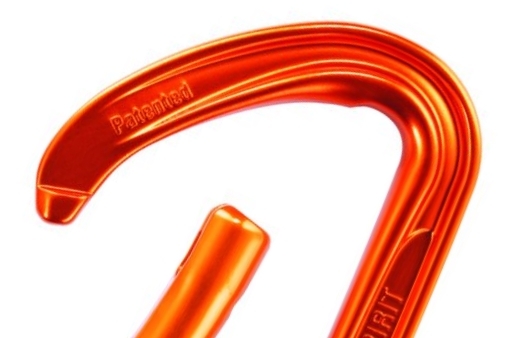 At first I was just happy to have the “cool” Petzl quickdraws, but when we started training with them for Big Wall Speed Climbing, I soon noticed one more good trait of them – the upper part of carabiner comes to the gate at a lower angle than old carabiners we used, which makes them easier to unclip. In BWSC competition you have a lot of unclipping to do if you go as second climber – and you unclip the carabiner from the bolt, not the rope, thus leaving the quickdraw attached to the rope and dangling between your feet as you continue to climb. When unclipping, the most annoying thing to happen is when you unclip the carabiner, and it’s nose gets stuck in the bolt on the way out. With Spirit this was practically impossible to happen, because of the mentioned angle. Actually, when I got used to it, I would open the carabiner gate and just throw the quickdraw out of the bolt – I could do this as I knew Petzl Spirit would not get stuck in the bolt like other carabiners did. As we were already praising this amazing rope – Petzl Volta 9.2 is the best rope both me or my brother climbed with. It is extremely light and super smooth, you barely feel anything handling with it. In BWSC competition this meant a lot easier belaying and rope handling, which in turn saved our energy in the later pitches of the climb. We still did not manage to test the durability or this rope, but with Petzl quality standards, we have no doubt it will surpass other ropes we used so far. We basically chose Sama harness because of it’s slightly retro red color – but it was another pleasant surprise in terms of comfort. Certainly a recommendable harness for any sport climber. Personally, I secretly hope the colorful fashion of 80s and its harnesses will return to the climbing scene! We tested both new and old attache carabiners, and I would recommend using the new one – it is lighter and with smaller gate-screw, and certainly easier to handle. One other useful thing is that the gate screw tightens itself in the last few milimeters (both when closed and open), which is super helpful at the anchors of BWSC competition – without this feature the carabiner will certainly close by itself because of all the dangling of the gear during speed climbing. We are more than happy for this sponsorship, and especially happy it is Petzl, the best climbing gear manufacturer of all. Thank you again Bim Sport d.o.o. Next week we will give you some BWSC training details we could not reveal before, and after that we are off into new adventures – small for the mankind and sometimes big for the Levatić Brothers!